This article examines how the Catholic press interpreted the causes of the Civil War, particularly how it assessed blame for the war on Protestant “errors of belief and practice” and misreading of scripture. In advancing this charge the Catholic press reminded Americans that the country was as much the home of Catholics as it was of Protestants and claimed that the Catholic Church, rather than the divisive Protestant sects, was a surer steward of social order and the nation’s future. Substituting private judgment and individual interpretation of scripture for church authority, Protestant practices, according to Catholic leaders, gave birth to erroneous antislavery and proslavery interpretations of the Bible, preparing the ground for a horrific civil war. By charging Protestants with responsibility for causing that conflict, the Catholic press foresaw and helped to bring about a postbellum society in which Protestant churches lost much of their social and political influence. By examining letters written to Confederate widows during the Civil War, this essay argues that the scale and manner of death in the Civil War changed the way that white Southern communities wrote condolence letters to Confederate widows and thereby changed expectations for grieving. At the start of the war, friends and family of middle- to upper- class white widows wrote condolence letters that commanded submission to God’s will in order to reunite with loved ones in heaven. As the war progressed, strangers and distant loved ones wrote to widows to communicate the details of deaths far from home. These new letters told stories of supposedly Good Deaths and provided instructions on how to recover personal effects, linking grief with memory. This shift in letter writing emphasized to Confederate widows the need to memorialize the dead without addressing directly the emotional depths of grief, sanitizing the memory of loss. This article takes an ecological approach to the postbellum stagnation of southern agriculture, connecting subtle changes in postbellum economic and legal arrangements around agricultural labor that unwittingly “tightened natural limits on cotton production.” Using planter diaries, agricultural journals, and Freedmen’s Bureau and IRS records, the article demonstrates that freedpeople protested contract terms that included land maintenance work, such as clearing new land, ditching fields to prevent erosion, and repairing fencing. For freedpeople, such work too closely resembled slave labor. By the 1870s labor contracts largely eschewed land maintenance work, meaning landlords had to pay additional wages for such work. Few were willing to do so. Though freedpeople gained more autonomy over their labor, the decline of land maintenance accelerated soil erosion and nutrient loss, undermining the economic security of poor tenant farmers and sharecroppers. Postwar agricultural labor arrangements in the South therefore spurred ecological changes that combined with those same labor arrangements to feed a rising tide of indebtedness and bankruptcies in the region’s agricultural sector. This essay explores how formerly enslaved veterans interacted with officials of the U.S. Pension Bureau as they applied for federal disability pensions in the decades after emancipation. Although legally on equal footing with their white northern counterparts, African Americans in the post-Civil War South encountered a host of challenges unique to their pension claims, from establishing legal identity to proving their disabilities did not originate in slavery. Moreover, because the Pension Bureau staffed its medical examining boards with local physicians, tens of thousands of ex-slave veterans were forced to negotiate with parties hostile to their claims. By placing the individual efforts of freedpeople within the larger context of state building after the war, this essay argues that the Pension Bureau became a focal point of the African American political struggle in the so-called nadir of the black experience. In this essay, Lorien Foote calls on scholars to reconceptualize the southern home front during the Civil War and break down the rigid dichotomy between battle front and home front. Foote’s study of Confederate home front communities that faced slave resistance, guerrilla violence, the influx of deserters, and small scale rebellions and insurrections belied the notion that the domestic realm was relatively shielded from the violence of war. Her article traces the birth of the concept of the “home front” during the First World War, its adoption by historians of the Civil War in subsequent decades, and more recent challenges, which had come to stand generally for the spatial and experiential division of civilians from soldiers and the home from the violence of the front lines. 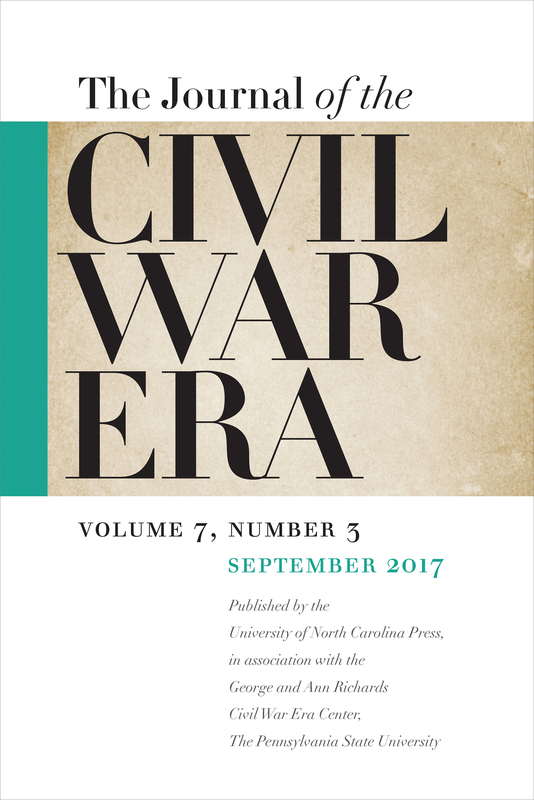 Foote argues that future studies should situate southerners in the midst of contradictory trends in warfare that emerged in the late eighteenth and early nineteenth centuries. Those trends promoted a concept of war that “limited fighting to battlefields and that separated combatants from noncombatants” on the one hand, and a concept of war that “envisioned entire populations as enemies and that took warfare into homes” on the other hand. She calls for the continued integration of the social and military components of the war, one that will combine micro studies of southern communities and traditional military history and employ digital humanities techniques that will produce a more accurate map of Confederates’ experiences in the Civil War.